The Royal Swedish Academy of Sciences announced today that George P. Smith, MU Curators Distinguished Professor Emeritus of Biological Sciences, is one of a trio of researchers who won the 2018 Nobel Prize in chemistry. 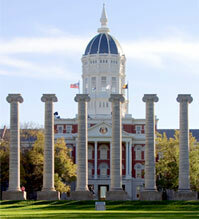 Smith is the first University of Missouri professor to receive a Nobel Prize for research conducted at the university. Editor’s Note: Smith’s biography is attached.